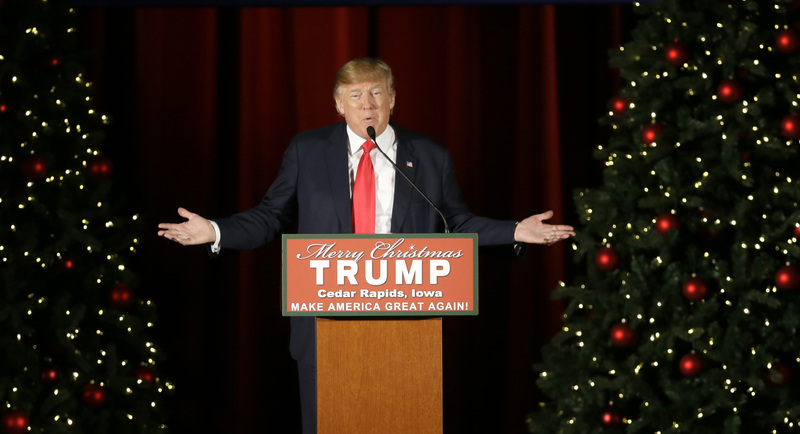 President Trump announced this afternoon that he has allocated an extra $70 billion to fight what he claims is a war on Christmas. "We're going to start saying Merry Christmas again, believe me," said the President shortly before signing an executive order deploying the U.S. Army into malls across the United States to begin putting up Christmas decorations. "We're gonna make sure people have Christmas, at any cost." "But it isn't even Halloween left! You can't start Christmas!" said visibly upset Secretary of the Interior Ryan Zinke, who really loves Halloween and already got his costume and everything. "Too bad. Halloween is canceled," said Trump, who reportedly has always hated the holiday on account that he often gets confused as a rotting pumpkin or an obese man in a sun bleached leather Donald Trump mask. "I don't know why everyone is so anti-Christmas all of a sudden. It is the most wonderful time of the year. The season of giving and compassion. We as Americans should embrace Christmas, folks! Not reject it" said Trump without irony only hours after he actually threatened to cut emergency funding to Puerto Rico and slash protections that make health care marginally affordable for the middle class.